This high-quality two-star hotel has soft lights spotted with bright colors. The greenery overhanging the walkway between rooms lends a fresh look to the big city. 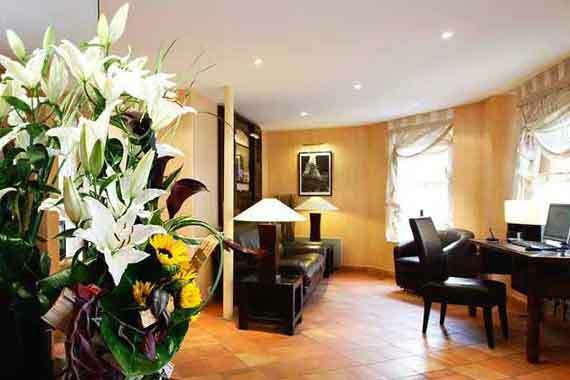 The hotel is in a great location, around the corner from top sight-seeing destinations and the business area. Just north of the Arch of Triumph, take Avenue de Wagram from the Place Charles de Gaulle, and turn left onto rue Rennequin. The hotel will be on your left.